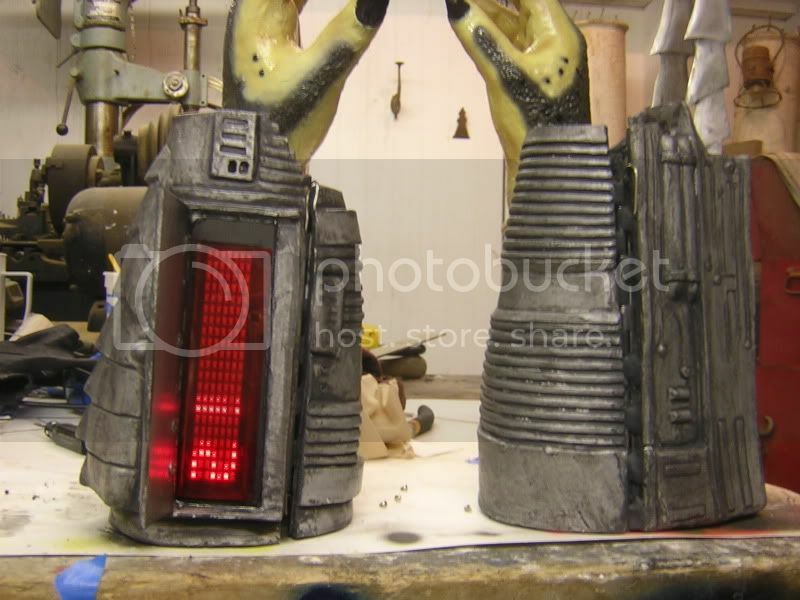 Since Halloween's coming up, I've decided to do writeups about some of my old costume projects. First up: the Predator. 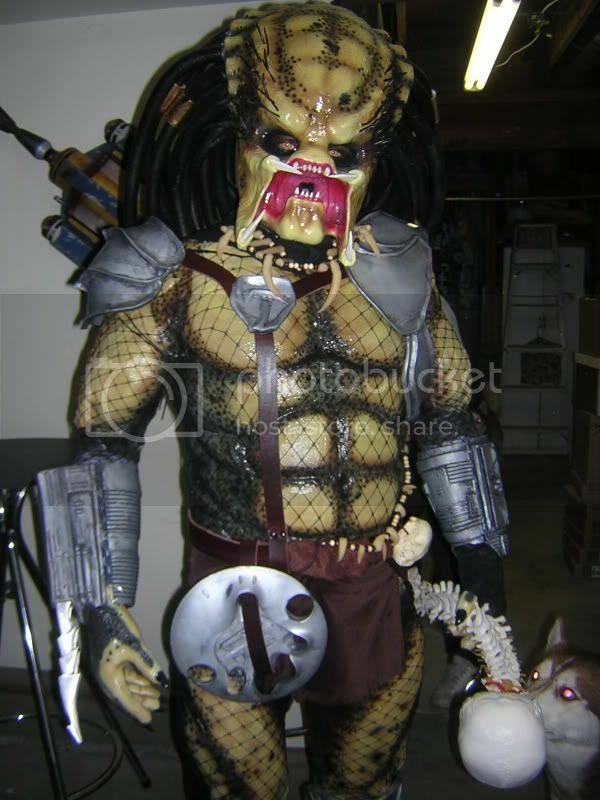 For Halloween 2005 I decided to go as the creature from the Predator movies. I built this costume in my woodshop over about two months worth of nights and weekends. If you'd like to do the same, follow these simple steps. In hindsight, I should have made the arms separate from the torso. This would have allowed for a greater freedom of movement and the armor could've been designed to hide the seams. Oh well. 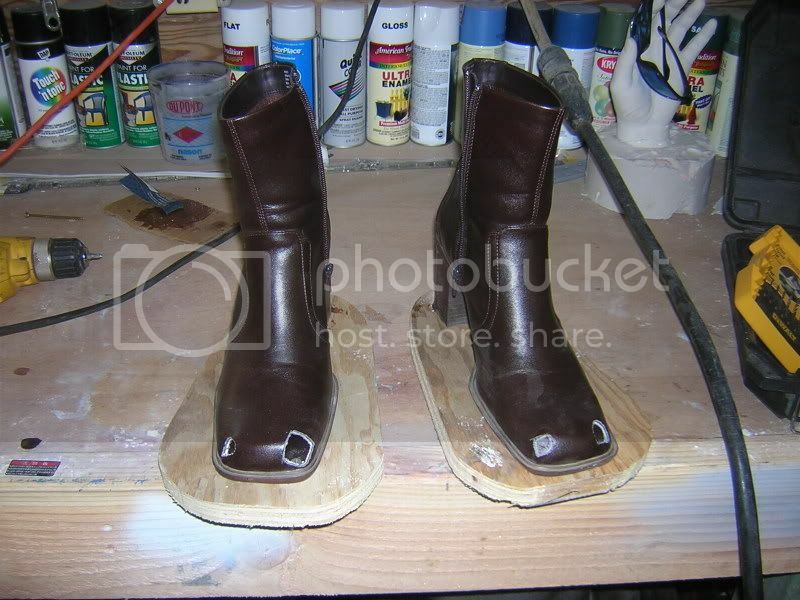 The same process was used to make the legs for the musclesuit. 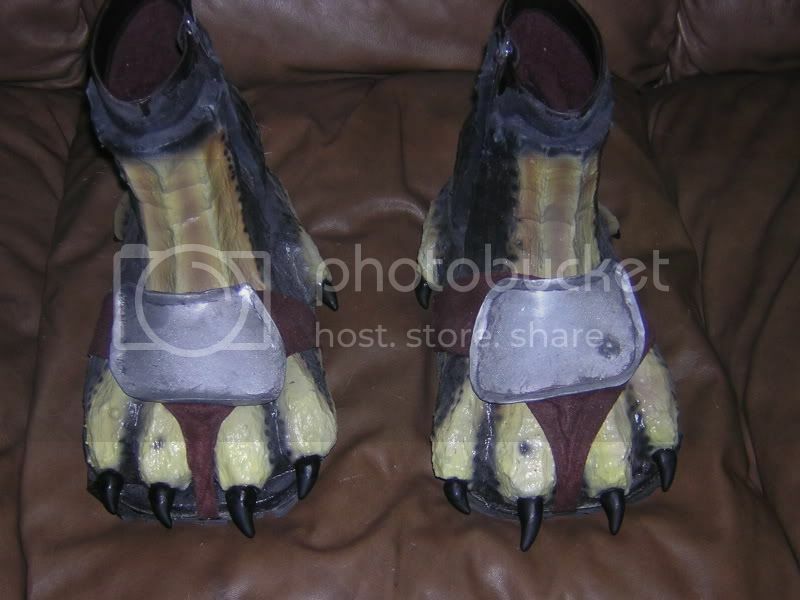 The claws were made from Sculpey brand polymer clay, and the armor plate was made using Sintra brand PVC sheet. The rest of the armor plates were made the same way. The hands were painted in the same way as the musclesuit and feet. The only thing that was left at this point was the fishnets, the leather work and the loincloth. The leather was bought at a local saddle shop. They cut me about four feet worth of 1-inch strap for a very modest price. The loincloth was a piece of faux suede that a friend of mine hemmed to make it look a little more substantial. The fishnets proved to be a bit more difficult than I'd anticipated. It turns out that what I was looking for wasn't fishnet, but "industrial net" with bigger holes. The biggest holes are found in "fence net." Now you know as much as I do about women's hosiery. That's so kool!!! I admire your drive. i only dream of being able to make something so kool. Thank you for the details you included now I will start planning my on costume for next year. You sir are a masterworks costume engineer! Absolutely fantastic work. Thank you for documenting the process and sharing these photo's! The pics just show a photobucket bandwidth error. I've fixed the photobucket problem. Should be all good now. How do you get into the costume? 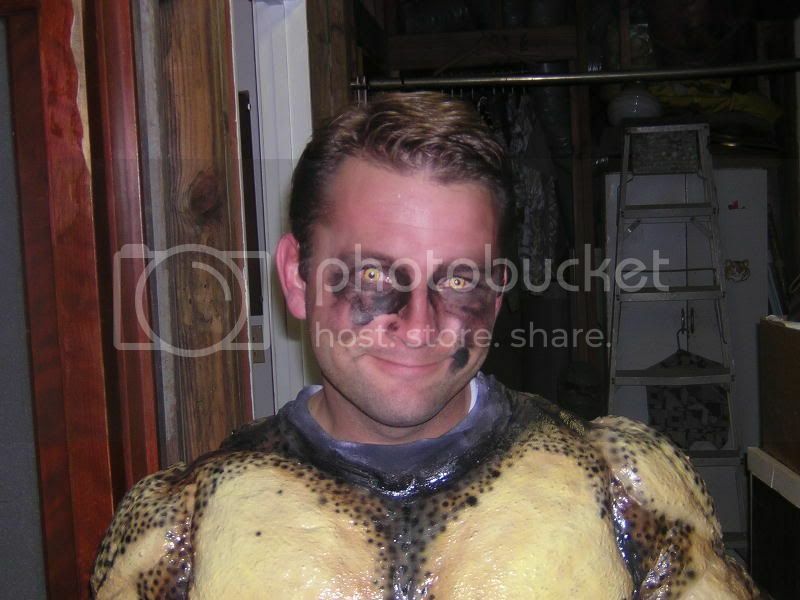 Getting into the costume starts with donning the bodysuit. The sculpted legs slide on like a pair of pants with a drawstring at the waist. Then the torso and arms go on like a long-sleeved t-shirt with a thong strap to hold it down. Then the loincloth covers the seam between the two halves. After that, it's just a question of pulling on the various armor parts. The mask slides on just like any Halloween mask, but it has a rigid structure underneath to keep it straight. love ur work !!! im going to try making one, this year. but im having trouble finding a mask like the one you have. any help on getting one like yours? Lots of members there that occasionally have pieces and parts to sell. i could'nt find anything that i liked on ebay, i'll try the link. thanks for your input. I'm curious where you go your bodysuit. I'm having a little bit of a hard time finding one. can you send me the email address, to where you got the mask? I'll just have him mail me one. 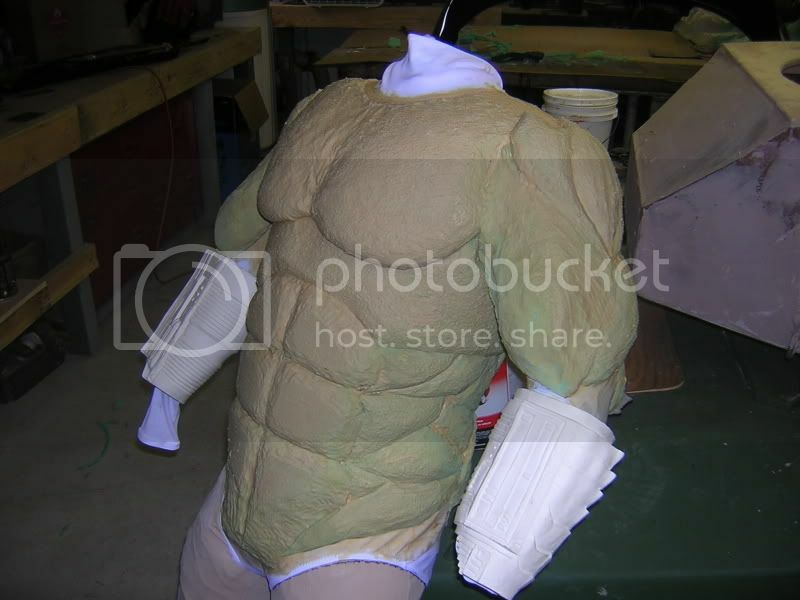 I've been working on the bodysuit, it looks good. need to coat it with liquid latex though. is there a certain kind to get? I don't remember exactly who I got the mask from. This was over three and a half years ago. 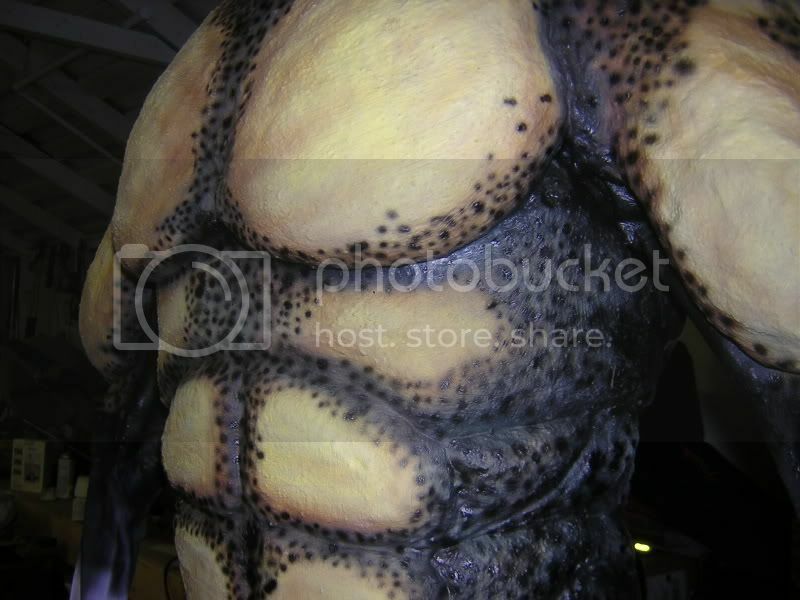 The bodysuit that I used for a base for the musclesuit came from a local dance shop. It's really not that hard to find one. k thanks, i did find a mask on hunters lair. again thanks for your help. Awesome, I was just getting ready to call up my local dance shop...thanks for the inspiration and tutorial. Keep up the good work and God speed. Not sure what you're asking me. 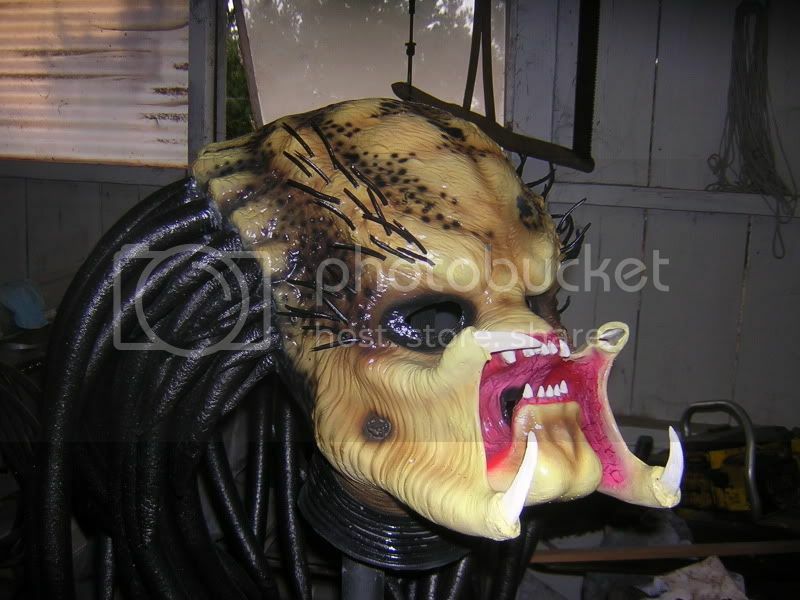 Go to www.monstermakers.com for latex mask makign supplies. That's what I used. Their website is very helpful. How did you sculpt the upholstery foam? Did you use a wood planer? are you selling your costume at all? the predator 1? There are dozens of Sasha Mullinses on Facebook. Shoot me an email and tell me what you have in mind. I actually answered this question in the fourth sentence in the article. Hey, I'm actually considering making one line this for my next Comic Con. 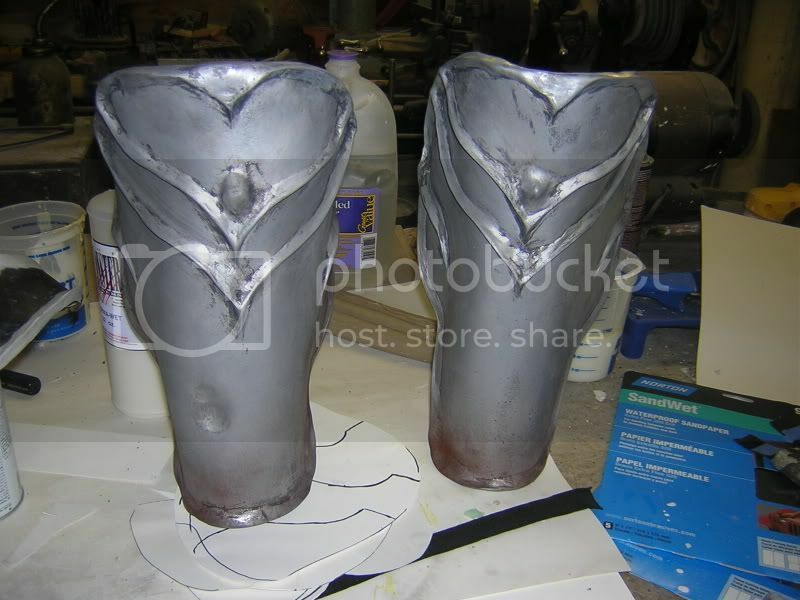 I didn't see anywhere in the article where you mentioned where you got the gauntlets. They look to be resin cast. Did you make them or buy them from somewhere? Any additional info would be greatly appreciated! Thanks! If memory serves, I found them on ebay. I don't recall the seller's name, but if I did I would recommend avoiding them. 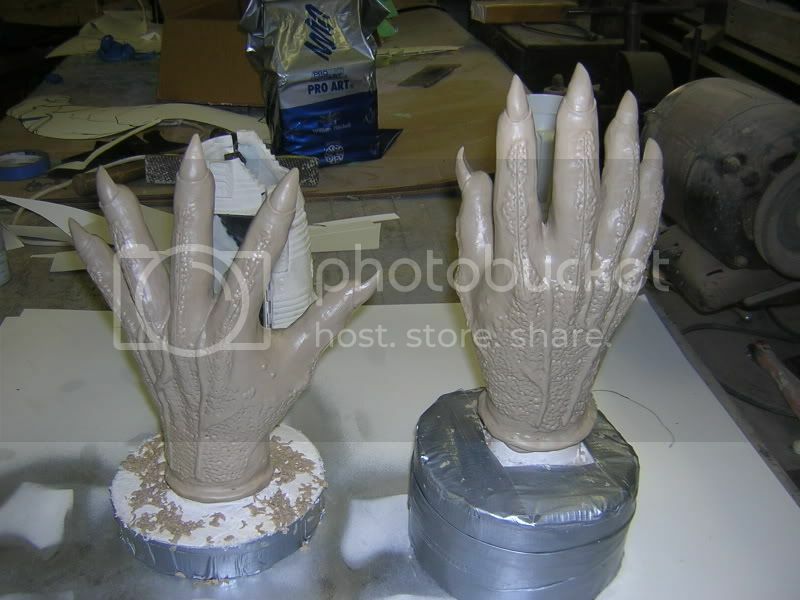 The casts were horribly flawed and required a lot of cleanup work in order to make them useable. how did you get the suit off of the ductape body? With scissors. It's the first line after the picture, "Then cut off the duct tape and the clothes it's attached to..."
The White unitard I used as a base had a zipper that ran down the back. The tan tights were just tights. First off incredible job!!! My question to you is what types of paints and clear coat did you use to paint the suit? 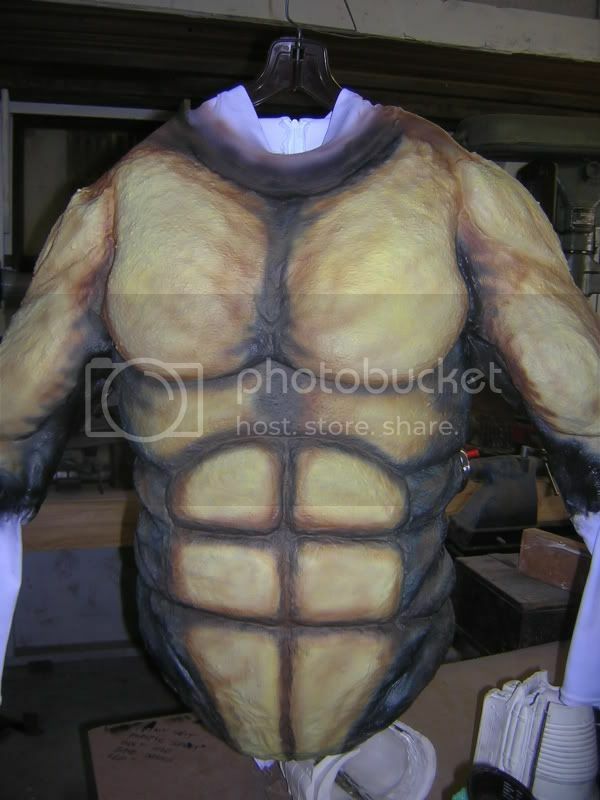 I am in the process of constructing one for my 11 year old son and I airbrushed a muscle suit for the upper body and am getting ready to do the legs but am now worrying about him possibly sweating and having the paint mess up on the pants as I am using waterbased paints. 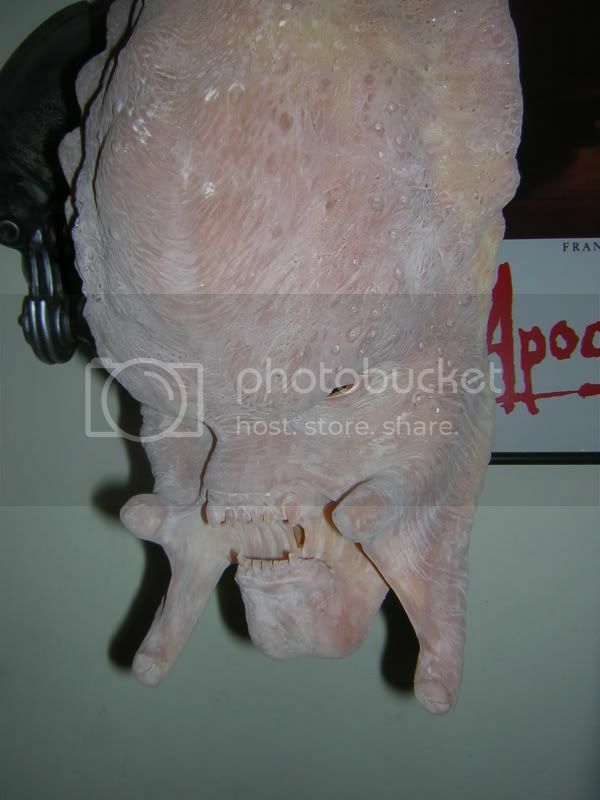 The paint I used was latex mask paint from monstermakers.com. I also used their "Perma-wet" clearcoat. I hope this helps. 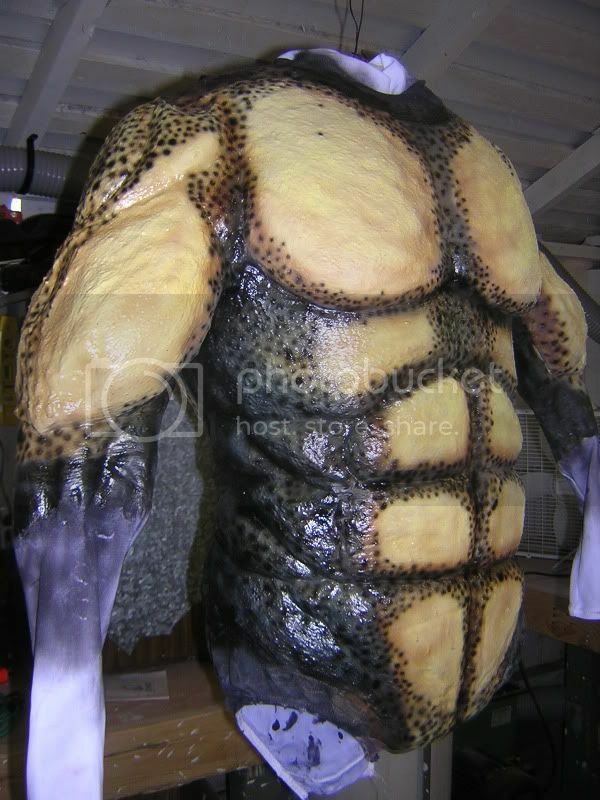 These liquid latex body paint pictures are looking great. These technologies are very much used in the movies. These pictures are amazing . Now a days in many movies uses these kind of pictures. Instead of using clothes, you could use plastic wrap when doing the dummy. It really smooths everything out. Just put strips of tape along the back, legs and arms where you will cut and you will prevent any damage to your skin. I have a question about a demon costume i'm trying to recreate. Do you have facebook so i could send you a message and a reference of what I am trying to accomplish?